Most organizations underestimate the impact color can have on their business brand, and on the effectiveness of their marketing materials. Did you know your business is 44 percent more likely to get phone calls when you print your phone number in color? Color can attract attention, invoke emotions, and even cause physical reactions like a rush of adrenalin. Color captures attention, enhances productivity, improves communications and helps boost engagement. Color has been shown to increase brand recognition by up to 80 percent. 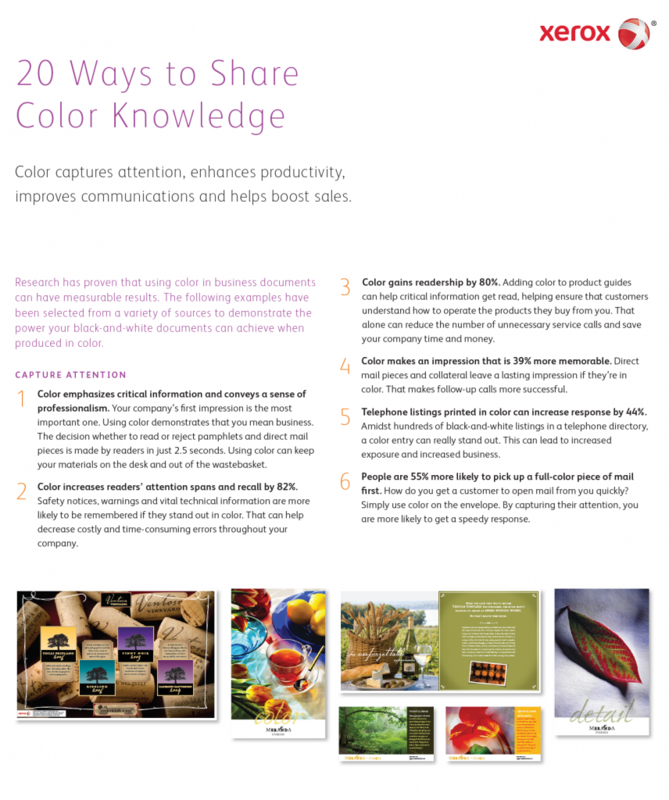 Color can increase attention spans and recall by more than 82 percent. 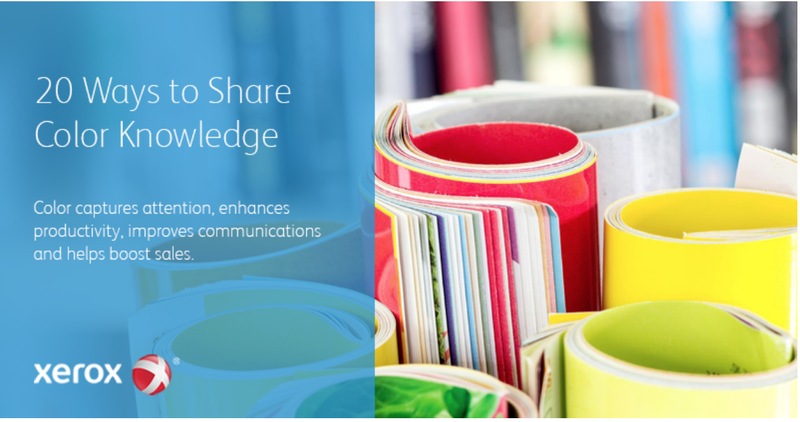 55 percent of recipients are more likely to pick up a full-color direct mail piece first, which is important because the average person spends just 2.5 seconds deciding whether to read a direct mail piece or toss it aside. Best of all, printing in color doesn’t have to break the bank. In fact, you can actually save money by using your own in-house printer compared to outsourcing color printing to a print shop. You’ll also save time since you don’t have to wait for the vendor to complete the job or accommodate their business hours and deadlines. 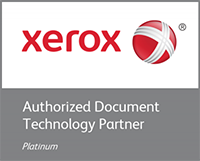 The Xerox AltaLink 8000 Series is an affordable color printer that gives even the smallest businesses the flexibility to print professional-quality color pieces on demand, quickly and cost-effectively.